Awhile back, around Christmastime, I found these fantastic Christian Lacroix Evian bottles at Big Lots for $1 each. 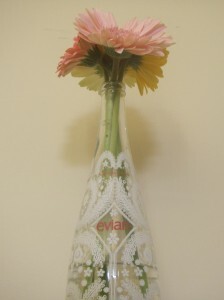 I did some research and found that each year Evian invites a different designer to create a bottle for them, and they release them around the holidays for a special edition Evian water bottle. The Evian bottles I was able to get ahold of are the 2008 Collector’s Edition, but there are some other great editions out there – so keep your eyes peeled! I bought a bunch of them and had the intentions of auctioning them on eBay, but an unexpected move and a dozen projects later, I still have a few bottles around the house. 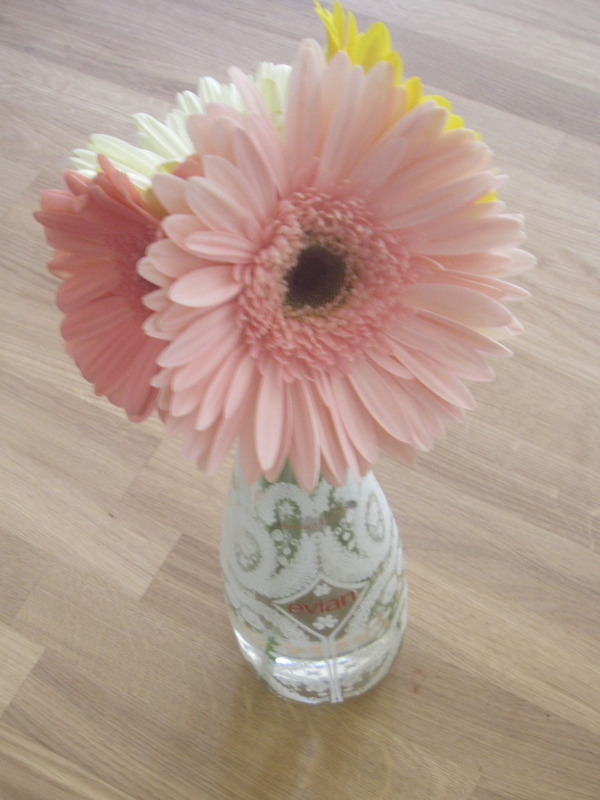 Inspired by the gorgeous (and cheap) flowers I’ve been seeing every week at the Farmer’s Market, I found the perfect upcycled use for the bottle – an Evian Flower Vase! 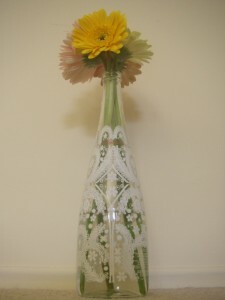 What a simple and different way to display flowers in the house.